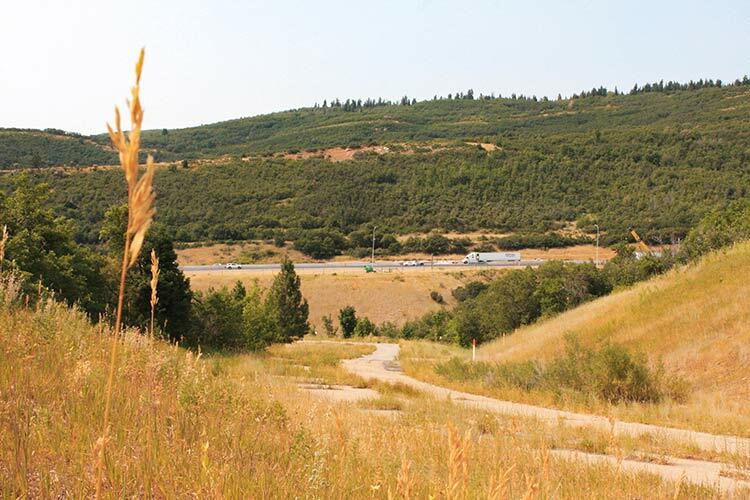 West of Park City, just on the outskirts of Summit Park, a lonely stretch of forgotten road snakes across the gentle slope off the shoulder of I-80. 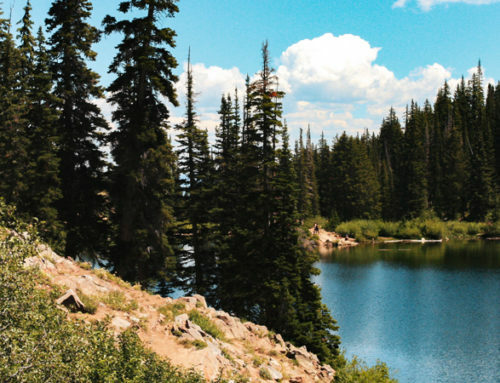 After branching off the westernmost road in town, the irregular and deteriorating pavement slithers along Parley’s Creek, a thin and crumbling line between a seven-lane transcontinental artery and the largely unspoiled wilderness of the mountains beyond. This forgotten path, simply labeled “Unnamed Road” on most modern GPS services, terminates in a gravel patch along the highway, giving the impression of a slow-burning stone fuse, quietly guttering in the mountain breeze. No clue is immediately visible as to its original purpose, long since erased by both progress and the elements. Some few travelers occasionally make use of the road’s weatherworn carcass to reach some of the more far-flung trails in the area, but fewer still remember its story. With the help of amateur sleuthing, local experts at the Park City Museum, and a ream of historical cartographical data, we were able to look into the past and salvage a story from the larger saga of the evolution of transportation through Parley’s Canyon. What is now moldering asphalt was once a frontage road to the newly-constructed and mighty I-80. 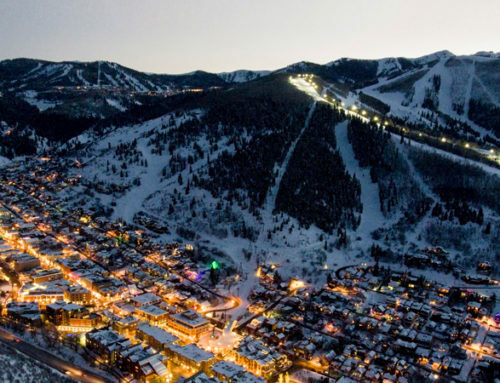 It allowed local traffic to embark and disembark from the interstate, relieving traffic on the main freeway and disseminating it onto the wider Summit County road network. This particular spur mostly carried motorists headed to or from Summit Park and Kimball Junction. The current frayed end of the line once connected as an exit directly from the freeway. 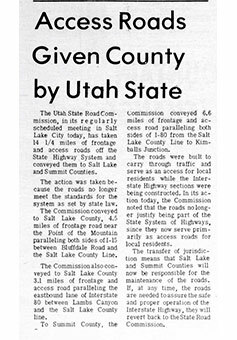 In 1974, however, the road was disconnected and given to Summit County by the Utah State Road Commission, along with several similar easements in other areas surrounding the interstate highway. This marked the beginning of the end for our stretch of mystery road, which slowly fell into the forgotten disrepair seen today. Before the frontage road came a detour. The construction of the interstate was a long, arduous affair. 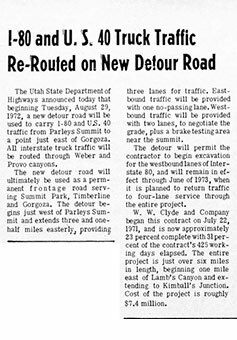 The route through Parley’s Canyon occupied road crews from 1971 to 1973, and required alternatives for area residents who couldn’t be disconnected from the rest of the state for two years. 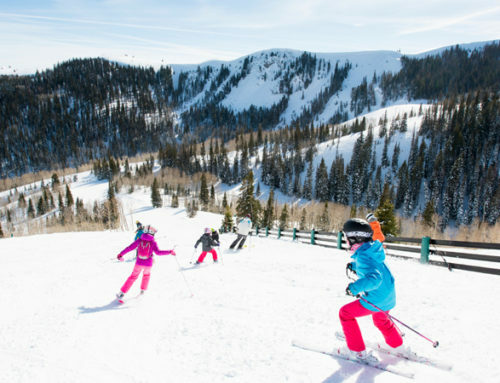 While most highway traffic split north toward Ogden or followed south to Provo, the residents of communities from Lamb’s Canyon to Park City needed local roads. “Unnamed Road” took up the slack, allowing the people of Summit Park to travel to and from the rest of the state. That would be an interesting tale in and of itself, but the story goes even deeper. As it turns out, this detour was not purpose-built for the interstate project. 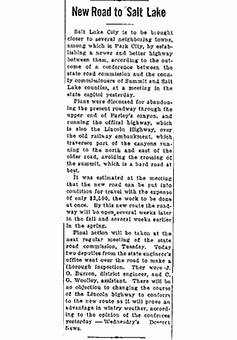 It was, instead, borrowed from the existing highway in the region, US-40, which made up part of the auxiliary route of the Lincoln Highway. The Lincoln Highway, named by its creator for President Lincoln, was also the first major transcontinental highway in the United States, stretching all the way from New York to San Francisco. The highway deserves its own thorough treatment, an ambitious undertaking befitting the such an influential feat of engineering, which will not be attempted in this article. Learn more about The Lincoln Highway on the U.S. Department of Transportation Federal Highway Administration website. The very first route for the Lincoln Highway detoured all the way north to Ogden, opting for a less difficult path than the steep, winding grades through Parley’s Canyon. It wasn’t until the “Unnamed Road” through the canyon was made more manageable in the transformation to US-40 that it was made an official auxiliary route of the Lincoln Highway. Previous to the taming of “Unnamed Road” as part of the highway-ification process, it was not uncommon for cars to spin out or go over the side near the Mountain Dell Reservoir, which made Parley’s Canyon unfit for inclusion in the first iteration of the Lincoln Highway. With the inclusion of US-40 in the Lincoln Highway, our original chunk of mystery road saw its first widespread use. The very tail end of the modern remnant is not included, having not yet been built, but the rest of our road of interest is, as can be seen on the official map of the Lincoln Highway. Rather than a side road or a detour, the now-crumbling path was directly on the main line. Cars, trucks, and other vehicles merrily wound their way down this now-forgotten path. It was at this point that the road was at its most important and most notable. 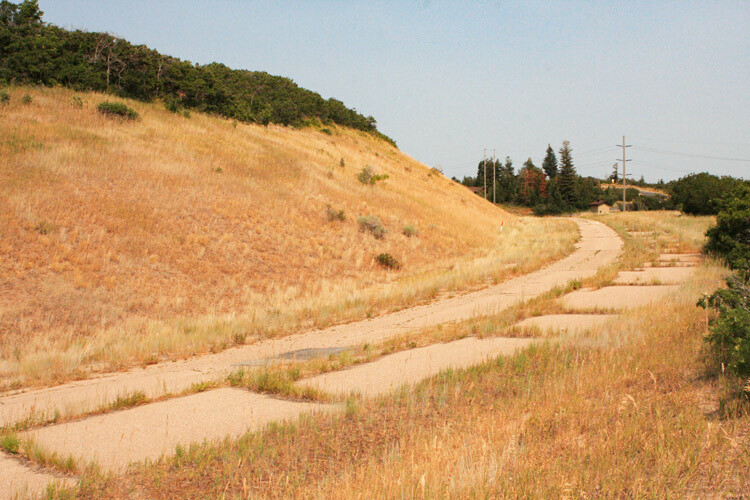 Part of the country’s first coast-to-coast highway, an integral stretch of US-40, and a central route through the state of Utah, what is now a dilapidated memory once carried thousands of cars headed to every conceivable destination. But those days are done. Little by little, project by project, this road fell from use. 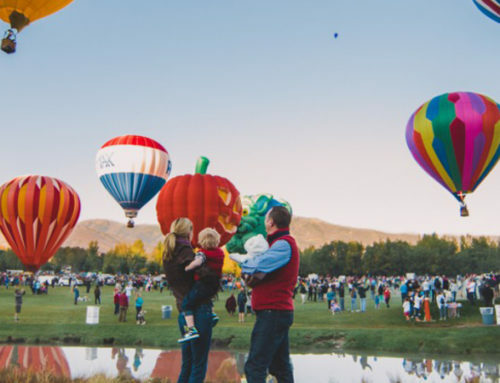 From a main highway to a detour, from a detour to a frontage road, from a frontage road to a local street, from a local street to a decommissioned patch of asphalt, it has dwindled away. How long will it be until even this broken detritus is ground to gravel and dust, existing only in bygone maps and fading memories? How many more forgotten byways are quietly fading into obscurity, unused and unmarked? It is hard to say. But this old thoroughfare does serve as a vivid reminder that everyone and everything holds a unique story, and that things are not always what they appear.